The Baltimore Orioles needed a 5 game winning streak at the year’s end just to crack .500 last season. Now they might lose the reigning AL HR king and Wei Yin Chen from last years squad. Dan Duquette needs to be diligent with his roster over this winter otherwise the club could start a free fall back down the AL East Standings circa 1998 – 2011. The Baltimore Orioles are in serious jeopardy of falling back into a tailspin in the AL East if they don’t turn around their winter. Buck Showalter saw his team scramble for a .500 record – yet the season was a massive disappointment from the previous 3 years. 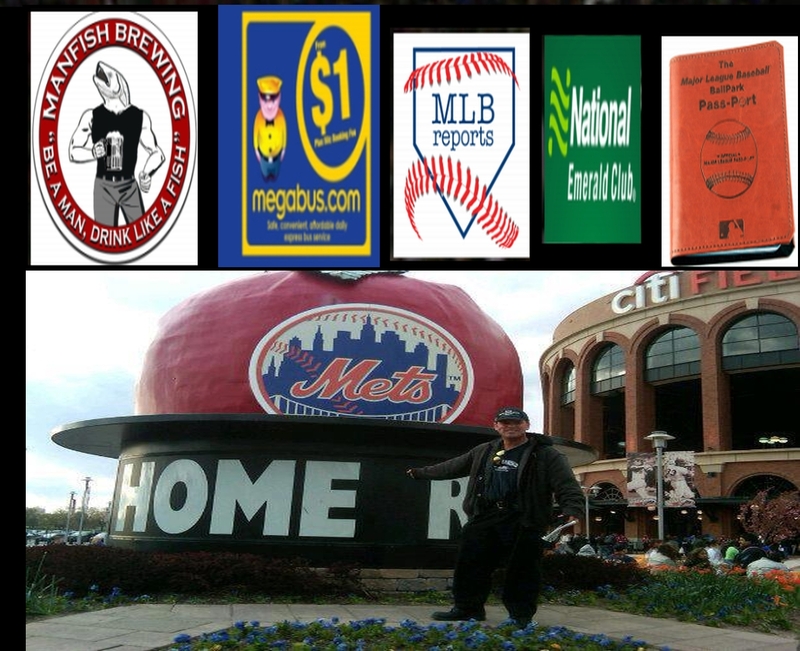 2 sr015 MSin Tr ip Sponsors: Man Fish Brewery, Megabus.com, MLB Reports, National Car Rental and the MLB Ball Park Pass-Port. Games) view full year schedule. Yankee Stadium, 1:05 vs O’s, (game 8/21 Yankee Stadium this year). I have seen 14 parks this year, with 16 more to go. After today, there is 171 games left in 147 days remaining. NOTE: I was going to switch this game to CBP, however their ticket prices continue to be bight, and frankly, I only spent a few bucks to bus it to New York. HAPPY MOTHER’S DAY, especially to the ones who love baseball. . Take your mom to a game. Method of Transportation To This Game, Where I am headed next. Fresh off of 5 doubleheaders completed in 7 days, I have upped my total games to 15 games in 11 days thus far for the 2015 season. I have never gone to 12 contests in 7 days before. Let me get this straight…The ‘Bronx Bombers’ have missed the playoff for 2 years straight and no one has lost their jobs? Man how times have changed in Yankees land. If George Steinbrenner were alive still right now, the twitter and social media world would be trending his name for all of October. Since when is it acceptable to miss the playoffs, underachieve and spend to the best payroll in the American League? Firing Kevin Long is not going to solve the hit crisis the club has. Before any of you throw daggers at our site, we have had this stance for a couple of years now. For the first time since 1997, the Orioles are back on top of the AL East Division, clinching their 9th division title in franchise history. 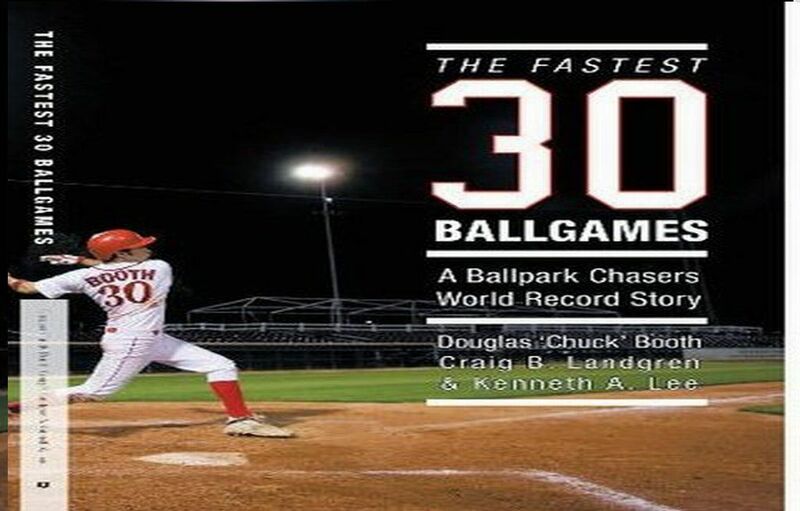 For a team who has dealt with numerous injuries over the season, this team still found a way to win 96 games, which easily won them the division crown. As October baseball is sure to bring out the best in the remaining competition, the Orioles have a tough task at hand, as they match up with the Detroit Tigers in the American League Division Series (ALDS). 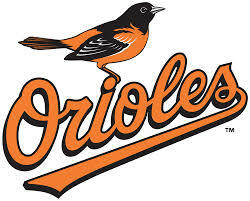 Although the head-to-head numbers and the critics seem to favor the Orioles at the moment, it would be wise to not count this Orioles team out just yet, as they have proven doubters wrong throughout the course of the entire season. Stop Praising The Yankees For 2014! + Someone Should Be Held Accountable For This Disaster! The Yankees can’t stop themselves from spending!! A self-imposed cap of under $189 MIL was shot when injuries began to mount. The club should have packed it in for the year, traded veterans near the deadline, with nothing but a hope and a prayer to make the playoffs. Now because they couldn’t fall under the Salary Tax Threshold, it will take a miracle to reach underneath this mark before the 2016 CBA. Welcome to financial hell Yanks, and your team is old – and have no Starting Pitcher’s likely above the #5 slot to begin the 2015 season currently on your 40 man roster under contract, and your payroll is already nearing $175 MIL on just 17 players as it is. 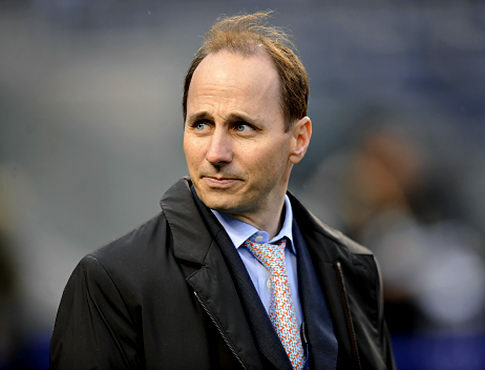 Despite all of this, the Yankees are set to offer Cashman an extension? Are they for real? I am sick and tired of hearing all this praise being bestowed on Brian Cashman for the job he is done. I will not lump Joe Girardi into this conversation, Heck, he has done a great job manipulating the roster he has been given. With the amount of injuries (which happens to old players – hello!) the Yanks are lucky they are not cellar dwelling with the Red Sox. 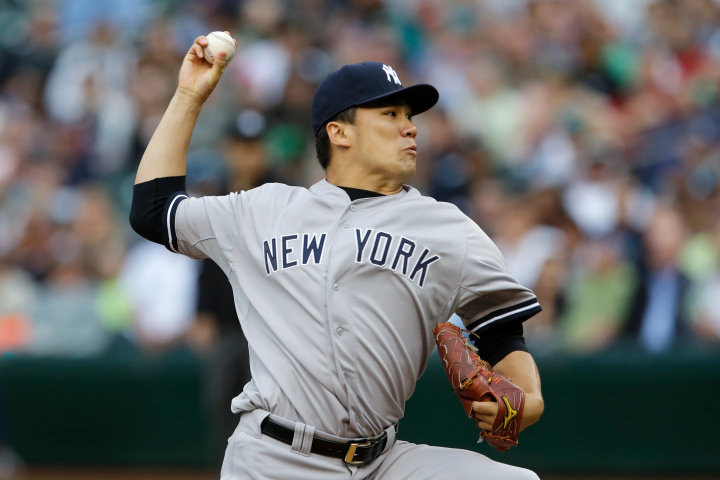 With Masahiro Tanaka out for at least 6 weeks with a UCL tear, the Yankees are dealing with 4/5ths of their opening day rotation now on the DL – and their 5th starter (Kuroda) having struggled in the 2nd half of 2013. The club is barely at .500, and must realize there is an opportunity to reset the 50% Luxury Tax Threshold to 0, by slashing some payroll via trades in the next 3 weeks. The worst thing this organization could do would try to salvage this year, like they did in 2013, by adding payroll, flipping prospects, for an ill-advised playoff run that the odds are stacked up against. I have talked at length about the Yankees precarious position of defining whether or not they are contenders or not, and whether they should seek selling off some assets, to fall below the $189 MIL Luxury Tax Threshold – or if the franchise should run at a postseason berth in Derek Jeter‘s last season. Seeing that Masahiro Tanaka will be out for at least 6 weeks with a partially torn UCL on his pitching arm, and possibly be out with Tommy John Surgery afterwards, this season outlook is becoming bleak. It has been a very busy week for the Orioles as Spring Training gets started, as the team is set to announce the signing of Nelson Cruz to a one-year, $8 MM contract. The Orioles could not catch a break this off-season, as they lost out on free agents that they coveted as well as missing out on closer Grant Balfour , after he failed the team’s physical. Bronson Arroyo balked at even going for a physical seeing what happened to the Aussie – opting to sign with the D-Backs even though the money was similar, rather than have his worth devalued by flunking the doctor’s visit from the O’s. Tyler Colvin also fell victim to Baltimore’s stringent doctors, while Grady Sizemore didn’t have a chance to pass a physical with the club either despite Orioles interest. Orioles fans all over wondered what the team’s intentions were, as many felt the team could be a serious contender with the core they have in place, but some moves needed to be made to bolster the roster. On Monday night, the Orioles finally made a big splash in free agency that everyone anxiously awaited. The team announced they agreed to a four-year, $48 MM deal with pitcher Ubaldo Jimenez. This is a huge move for the Orioles as an organization, as it now shows their fan base that they are willing to spend big money on key free agents. The O’s have been linked to many of the big name free agents throughout the offseason, only to come up short when it came to signing them. 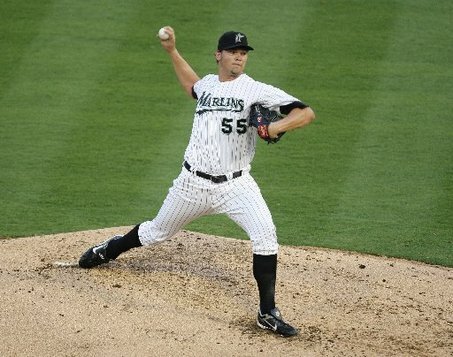 The Baltimore Orioles signed Closer Grant Balfour to a 2 YR/ 14 Million dollar contract on Tuesday. Balfour will replace Jim Johnson, who was traded to Balfour’s previous team, the Oakland Athletics, earlier in the offseason. In an overall picture, the club almost essentially traded Jim Johnson for Jemile Weeks and Grant Balfour. The club will save $2 – $3 MIL in payroll next campaign, while they added Second Base depth, and perhaps may have the better Relief Pitcher out of the two. Better yet, Baltimore has their Closer scenario sewn up for the 2015 season now as well. As the winter moves along, the Oriole faithful keeps asking the same question: when are the Orioles going to make a big move? The beginning of the MLB Free Agency period has not been friendly to Orioles fans, as they saw their team trade away Jim Johnson, one of the best Closers in baseball, as well as part ways with Left Fielder Nate McLouth and Starting Pitcher Scott Feldman through free agency. On Tuesday afternoon, the Orioles found out that rumors surrounding the team were actually truth, as it was announced that Grant Balfour signed a 2 YR/ 14 Million dollar deal, with $500,000 deferred each season. 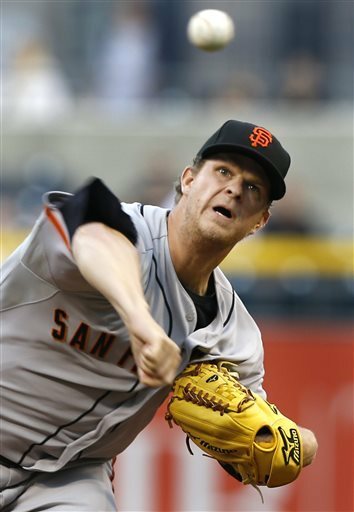 Matt Cain took a no hitter into the 5th on the first anniversary of his perfect game. He finished pitching shutout ball into the seventh. The Giants went on to clobber Pittsburgh 10-0. Ben Revere went 4-6 with a triple, a stolen base and 2 runs scored including the go ahead run in the 8th inning as the Phillies squeaked past the Twins, 3-2. Chris Davis drove in a pair of runs including on a walk off bloop single that ended a 13 inning 5-4 Oriole victory over the first place Red Sox. And in a remarkable relief performance, Yankees middle reliever Adam Warren threw 6 shutout innings, throwing 85 pitches, every single one could have been a walk off hit for the A’s. In the end he got a no decision, and Oakland won 3-2 in 18 innings, but Warren’s performance was second to none.. They all owned baseball on June 13th, 2013. Derek Jeter. The Yankee Captain. A future Hall of Famer. Last October, Jeter broke his ankle during the American League Championship Series. 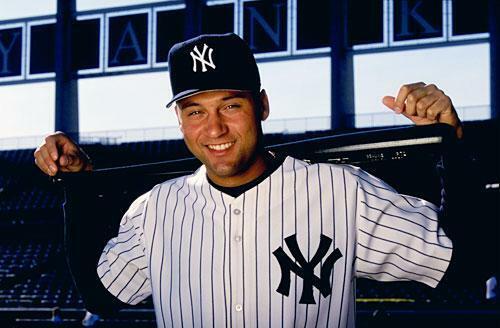 All off-season, it was reported that Jeter would be ready for Opening Day. After a series of set-backs, it has now become clear that due to a small crack in his ankle, Jeter will not be ready until after the All-Star Break. Can the Yankees survive without their captain? Only time will tell. Transitions are rarely easy. People, generally, are creatures of habit and routine. Change is almost always seen as a scary thing for most. Yankee fans are no different. The transition from the old guard is an overwhelming theme to this season for the Yankees. As Week Three of the Major League season moved along, the Yankees received more bad injury news on their shortstop, Derek Jeter. The Yankee captain suffered a significant setback in his recovery from a broken ankle when it was reported that a small crack had emerged in the same location as the injury. Reports had indicated that Jeter’s surgery would prevent such a re-occurrence. Obviously, this is not the case, and now, the Yankees will be without their shortstop until at the very least the All-Star break. Yankee fans’ reaction was obvious as the news broke. For the better part of two decades, Jeter has been the constant in the Yankee lineup, and this injury reminds Yankee fans, again, that the times, they are a changing. 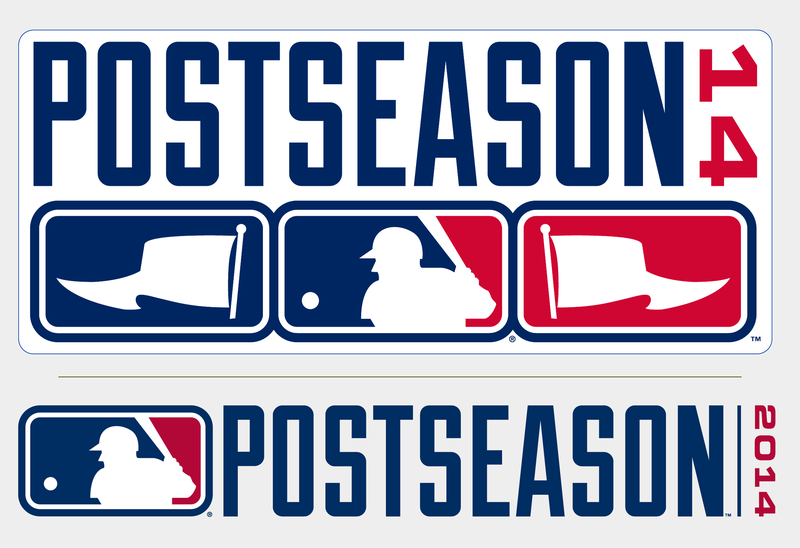 Sam Evans: The 2012 MLB playoffs have been thrilling so far. 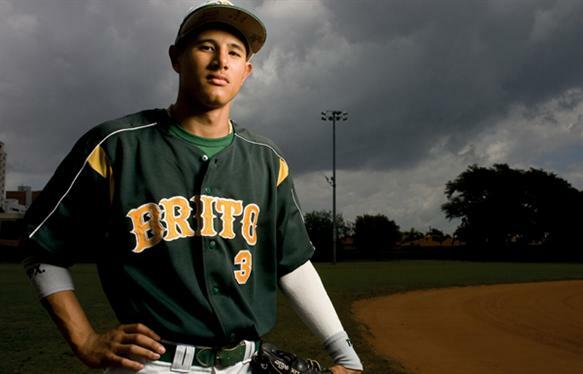 From Lew Ford to Derek Jeter, every player on the field is playing like they have something to prove. Two of the most exciting teams during the regular season, Oakland and Baltimore are both trying to prove that they belong in the postseason. So far, both teams have been successful in doing that. Both teams have benefited from outstanding pitching performances, but other than that- the two teams are very different. Bernie Olshansky: As the season wraps up, the divisional races become tighter. Some races are close while others are blowouts. Here are the teams that I believe will be playing in October (and their predicted final records). 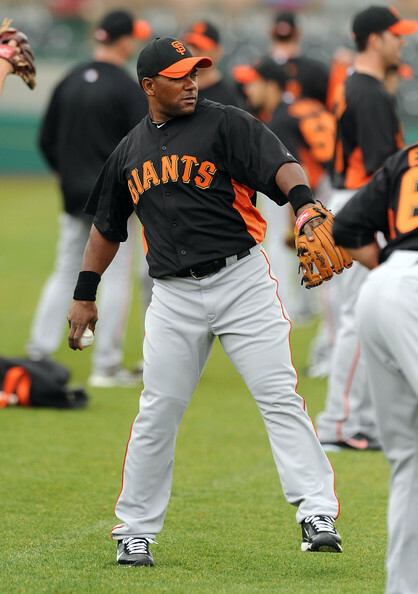 Can Miguel Tejada Provide Any Value for the Orioles in 2012? Sam Evans: He’s baaaack! Miguel Tejada’s career has gone down the path that most MLB superstars travel as they get older. Once the best-hitting shortstop in the league, Tejada has now morphed into a weak-hitting veteran who can no longer get on base as easily. However, Tejada can still provide value to a rebuilding team who needs a veteran middle infielder to back up their young starters. The Orioles recently signed Tejada to a low-risk minor league deal, and he has a decent chance of playing in the majors before mid-season. 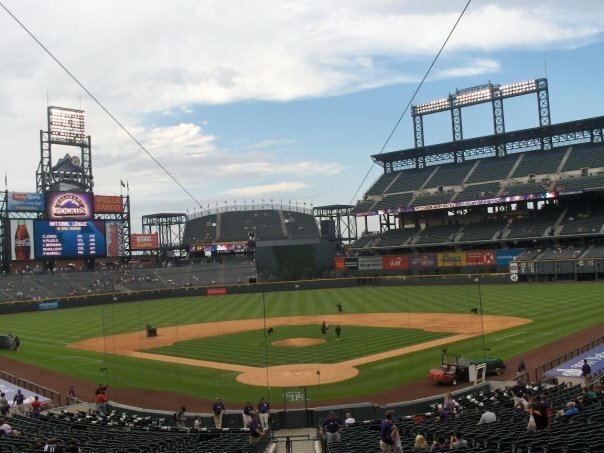 Sam Evans:When MLB Reports first wrote about the Rockies/Orioles trade that sent Rockies’ pitcher’s Matt Lindstrom and Jason Hammel to Baltimore in exchange for Jeremy Guthrie, the Orioles seemed like early candidates to come out ahead in this trade. 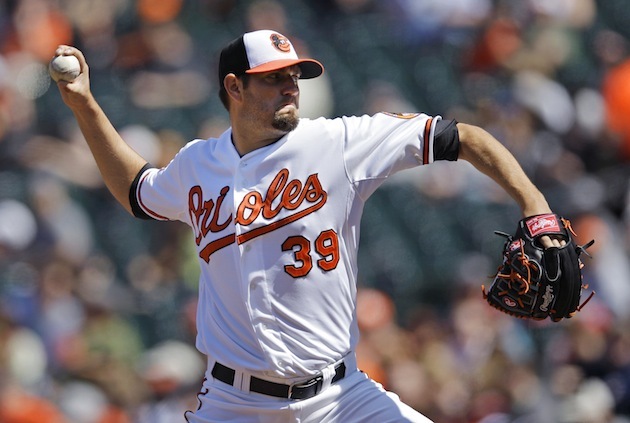 It’s still too early to tell, but because of Hammel’s hot start, the Orioles look like they got a bargain deal. Hammel has been so impressive because of his new pitch and his superb strikeout-to-walk ratios. The Orioles are currently on top of the A.L. East with a 22-13 record, and they owe a lot of the credit for their success to Jason Hammel. Still, there are multiple reasons why they can’t expect Hammel to keep this up.